Editing a Cityscape: Wakayama Castle to Kuiisido Straits, Japan – Look Through The Lens? Will you? 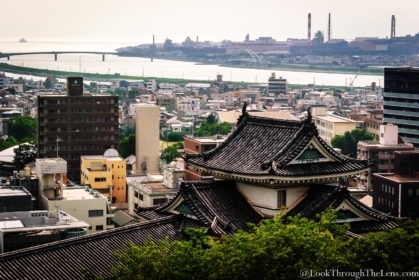 Last year’s trip to Japan produced a wealth of photos that I’ve not had time to work on. 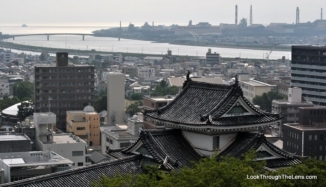 However, I found this city scape shot from Wakayama Castle looking westwards. I followed the Lightroom video created by Yuri, called “How to create stunning sunset photos” … though he spoke so fast! I then edited a little in ColorEfxPro4, with the Fuji Superia400 Film selected. Not sure if it’s better what do you think?